Learn a profoundly simple and practical sales management system proven to increase sales productivity and accelerate your growth. 1:00 – 5:00 training session led by Dave Kahle. 6:30 – 7:00 cash bar break with Dave Kahle. 7:00 – 9:00 dinner with Dave Kahle and the other participants. 8:00 – 12:00 training session led by Dave Kahle. Afterward, you are free to leave or continue with informal interaction and networking. Refocus sales people on the highest priority activities every month. Provide their team with a sense of ownership – of their performance and their results. The Kahle Way® Sales Management System cuts through the fluff of other management programs and presents a unique practical system to the overworked, overwhelmed sales manager. Focusing on the five key processes for successful sales management, it describes each process, articulates the impact on the salesperson and the sales manager, and then prescribes a proven strategy and a simple, step-by-step action plan to accomplish that task. Finally, it provides template forms and outlines to make the task simple and easy. The bottom line is this – a more focused and accountable sales force, greater productivity in the entire sales group, and managers who are more confident and have time to devote to customer relations and the other important aspects of their jobs. We limit the enrollment to 20, so don’t delay. As of January 2018, more than 2,033 managers have been licensed and trained in the program, and more than 289 companies employ it. Designed for anyone who supervises sales people or sales managers. Our Sales Management System Seminar empowers sales managers with a system to help unleash the sleeping potential in their sales forces. You’ll leave with a specific set of principles, processes, practices and tools to empower you to make the best use of your time while keeping your sales team focused and helping them reach their untapped potential. Watch this short video testimonial on the impact we’ve had. 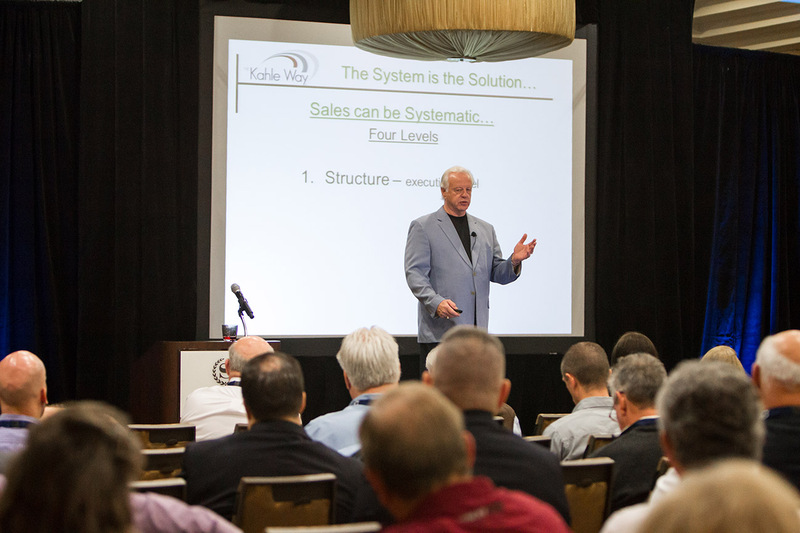 What are people saying about the The Kahle Way® Sales Management System Seminar? Register for an intensely interactive small group workshop designed to help your managers increase sales productivity.